Happy Monday everyone! I can’t believe we are in February. I feel like it was only a couple of days ago that we celebrated Christmas! I certainly had a full and fun weekend, which is exactly what I needed before opening another show at work this week! These times can get so busy (and stressful), so taking a minute to relax, spend time with Dave, and just take a breath before it gets hectic is the best. I wanted to tell you all a little story today. 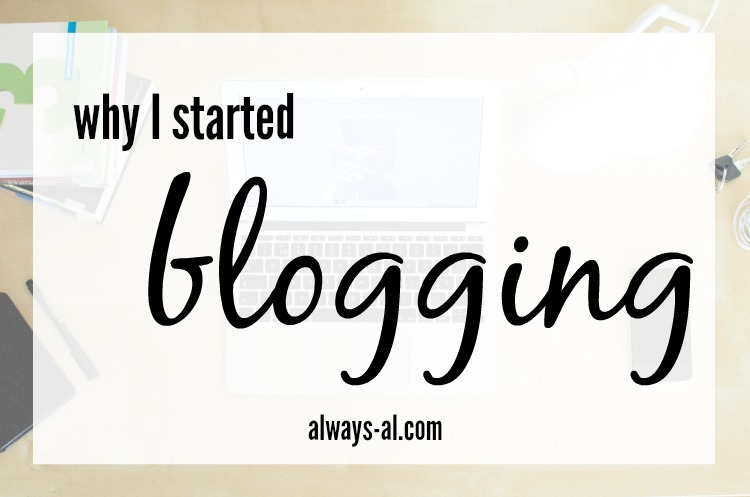 About how and when I started blogging. How I’ve grown and changed through this space. How I found my favorite hobby. In college I was involved with tons of stuff within the music department. I would spend hours and hours putting shows together to be performed. It was amazing, and I loved being busy. But as I got older, I grew into more of an introvert, and needed to have some alone time to relax. During my Freshman and Sophomore years, I spent a ton of time reading blogs. I was kind of a blog stalker, and would never comment on anything. My friend, Meghan and I used to talk all the time about blogs like A Beautiful Mess. During my Junior year, I decided that I wanted to write. I was already writing and editing for the school newspaper, but I wanted something that I could choose the topics. I spent a little bit of time researching and setting up my Blogger profile, and my blog baby was born. The first blog name I had was “Lavender’s Blue.” I picked this mostly because I like the color purple. I customized my site on my own using the blogger settings, and many shades of purple. I immediately LOVED blogging. I had a lot of time to do it, and to work on different projects. I wasn’t keeping to a schedule, but I just did it for the fun of it. I probably had 5 page views per post, and those were all my family. In 2013 I kind of fell away from blogging. I had just moved to Virginia with Dave, and we were both really busy with our new jobs. I remember coming home from work every day just completely exhausted. My blog was always in the back of my mind, but it just wasn’t a priority. During this time I was still reading lots of blogs, and loved watching them grow. In April 2014, I was feeling so off. My routine was causing me to be unhappy and bored. I thought a lot about bringing my blog back, but I didn’t want to go the ‘Lavender’s Blue’ route. I wanted something a little bit more mature that would grow with me. I wanted to be serious about blogging, and get into the community. So I rebranded, and Always, Al was born. 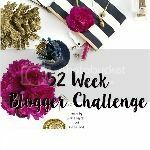 I figured this would be a great way to be a little more current, but also keep a true lifestyle blog. I was able to be creative and reach people in a way that might influence their lives for the better. I can’t even tell you the amount of joy blogging brings me. I love interacting with friends on the internet, and challenging myself to get good posts up. I have grown a lot over the past (almost) 2 years that I have been writing Always, Al, and have learned so much. I now know about photo editing, html, affiliate links, and my writing has improved a lot. Most importantly I have found and become part of a wonderful community of people who support each other.